Here's a week's worth of lunch ideas. There are a few "tried and true" and a new one to check out too. 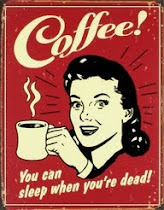 I'm working of a few new things for the blog so if you notice a lot of changes going on... sorry. How do you like the new "Printable" option for the recipes? I'm kind of experimenting with it, so let me know what you think. This has been a favorite of mine since I was little. My babysitter used to make it, and so I made my mom start making it too. I've changed it a bit over the years- but it's basically the same. This recipe makes a lot, so I cut it down to about 1/2. Pepperidge Farms crushed herbal seasoned dressing 8oz. Saute onion and celery in butter. Mix soup and milk together and add chicken, corn, onions and celery. Put 2/3 dressing mix on bottom of large casserole dish. Spread all of chicken mix on top of dressing. Top with cheese and cashews if wanted. Bake at 325* for 30 uncovered. Sorry this isn't the best picture... my camera is having fits again so I am using my phone. 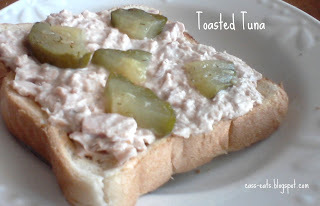 Toast your bread, mix up a (drained) can of tuna with a spoonful of mayo and throw in some chopped up dill pickles. 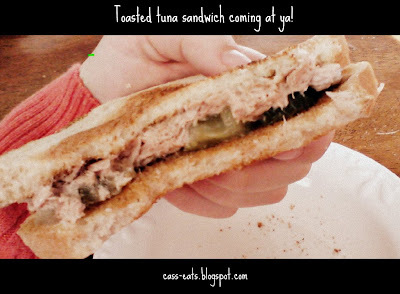 Pile the tuna on your bread and enjoy. There's this pizza place in our county near the college that has the most amazing ham and cheese salad in the world... so no recipe can compete with theirs, but this is my quick & easy attempt. If you have time it goes great with garlic bread. Sorry no picture here, my camera is not playing nice. 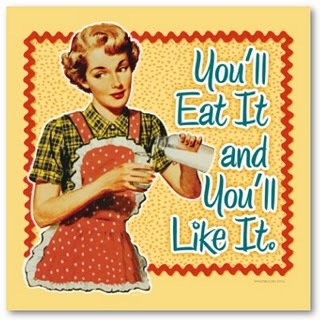 I've also been "trained" to salt & pepper my salad. Sprinkle shredded cheese of your choice (or blend) on tortilla. If you go for cheddar sprinkle just a tiny bit of garlic salt. or just long enough to melt the cheese. Let it cool for a minute so you don't burn the roof of your mouth off! Feel free to sprinkle with a few drops of hot sauce or dip in ranch. Enjoy. Go for chicken noodle or tomato! Or reheat your favorite dinner leftovers from the week. Brown the ground beef (drain grease) and add the sauce. In another pot bring water to boil for noodles- cook according to directions. Meanwhile mix together the cottage cheese, eggs, mozzarella and Parmesan. 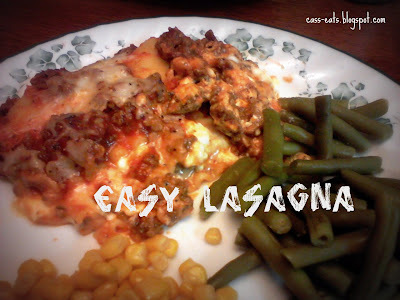 and start layering the lasagna noodles. Top with noodles and repeat layers. Sprinkle with the extra cheese. These look and sound great, it is perfect! It's so hard figuring out what to eat for lunch. I am your newest follower! Hi Christi, thanks for stopping by. Glad you liked the post. I will be over to follow you in a minute. These lunches look so good. Thank you for sharing with the Clever Chicks Blog Hop this week; I hope you’ll join us again! 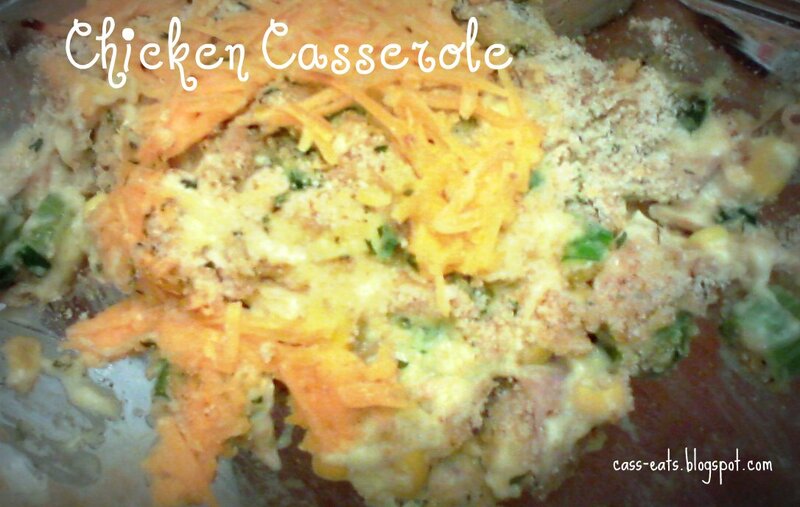 Your meal plan looks great and we would love that Chicken Casserole on Sunday, it looks delicious. Hope you have a great weekend and thanks for sharing your tasty recipe with Full Plate Thursday. This looks like a great, easy to follow meal plan! Thanks for sharing on Foodie Friends Friday!